French President Emmanuel Macron announced on Wednesday (3 January) that a law against fake news is in the making in France. 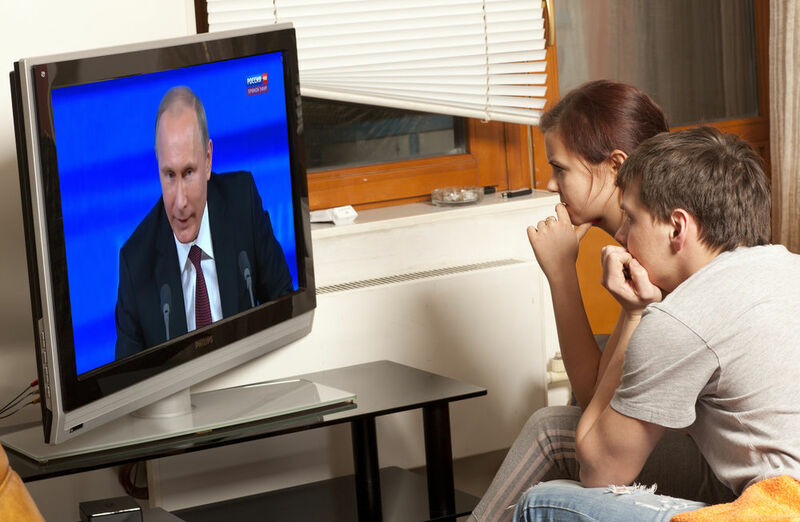 The legislation is clearly aimed at Russian propaganda and should be completed by the end of 2018, government spokesman Benjamin Griveaux added on Thursday. 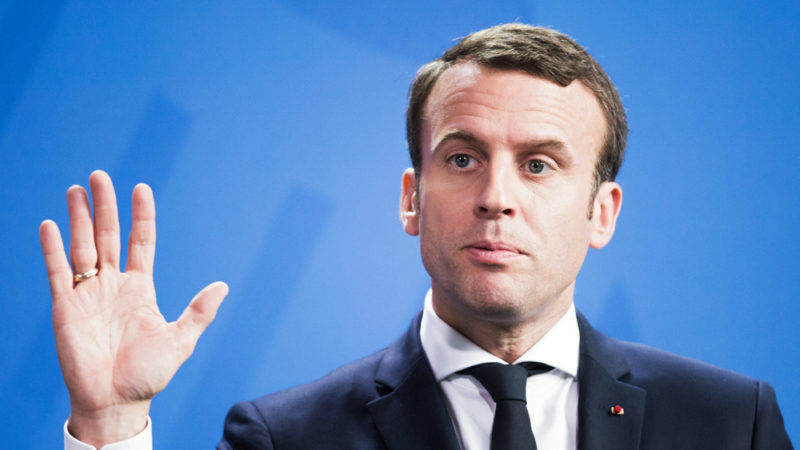 “The current hype behind fake news is linked to the fascination for illiberal powers, and it is most of the time financed by the same powers,” Macron said. He emphasised that certain websites are the mouthpieces for this kind of propaganda, but said that they have links to millions of fake social media accounts that are able to disseminate lies in every language within a few minutes. “The democracy process is altered by this propaganda: the walls built between historical media and fake news are not working, as we have all seen during all presidential campaigns in our contemporary democracies,” Macron added, making a clear reference to the “information war” that Russia has been accused of driving. France wants to force online platforms to comply with transparency measures by identifying who pays for sponsored content, and by limiting the amount of money used to finance that content. Judges could also be summoned to deal with fake news during elections under the new law. Currently, judges can be consulted to rule on fake news but rarely are under the 1881 press freedom law. Macron’s announcement that he will clamp down on fake news through new legislation could steal the European Commission’s thunder shortly before it reveals its own plans from Brussels. 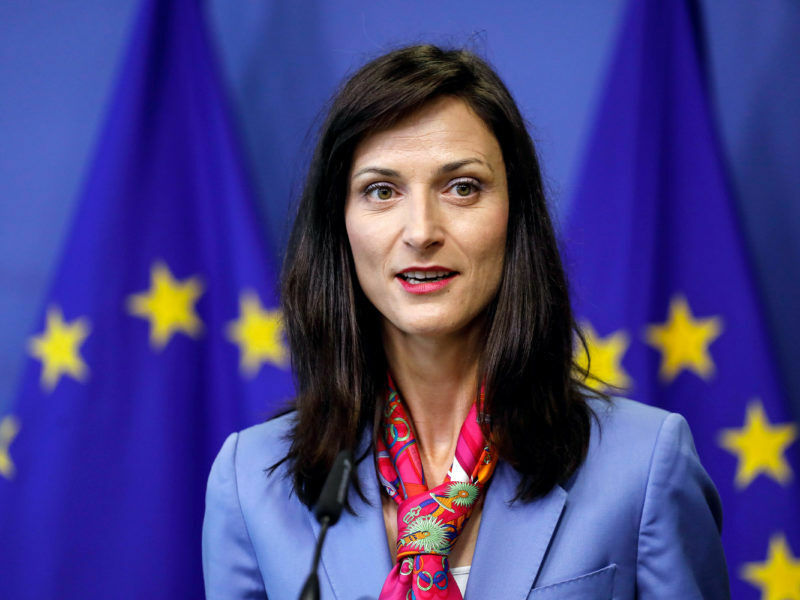 EU Digital Commissioner Mariya Gabriel said after she took office last July that she will make tackling fake news a hallmark of her term. Macron’s plans to legislate will now put pressure on Gabriel. But the French president may also have given the Commission licence to take a tougher approach to how websites deal with fake news. Shortly after Gabriel took office, she vowed to publish a strategy paper on fake news in early 2018. Her office is also setting up a so-called expert group that will advise her on how to address misinformation on the internet. But while Macron made it clear that he will draft hard law to force websites to reveal where advertising money comes from and put a cap on the amount of sponsored content, the Commission’s approach will not be binding. Instead, Gabriel is expected to publish a document that highlights how online platforms could address fake news that is shared by their users. Gabriel told a Brussels conference in November that her strategy paper will cover different sectors, since fake news is spread through audiovisual, written, online and other media forms. “This misinformation evolves continually as technology evolves,” Gabriel said at the time. The Commissioner said she is also considering how fake news is financed as part of the initiative. The Commission is collecting feedback for the fake news strategy until mid-February. Some questions in the public consultation ask if online platforms should inform users if a post was created by a robot instead of a human, or explain what algorithms platforms may use to determine why they display certain content. Another question asks if online firms should “provide greater remuneration to media organisations that produce reliable information online”. Macron is not the only EU leader who has stepped up regulatory action against fake news. In October, heads of state from 27 member states—only Spanish Prime Minister Mariano Rajoy did not attend the summit—signed off on a document calling for steps “to shore up the integrity of our free and democratic societies in the digital age”. Politicians across Europe are increasingly moving to regulate what is shared on internet platforms. Germany passed a controversial law last year that will slap social media firms with hefty fines running up to tens of millions of euros if they do not quickly remove illegal content, including hate speech. As a result of the new law, Facebook announced last year that it hired hundreds of new staff members in Germany to monitor users’ posts for illegal information and flag them to be removed. Fake news is a disease that European society needs to be “vaccinated” against, the EU’s Digital Commissioner Mariya Gabriel said as she opened a call for public comments on possible EU responses to the spread of false information on internet platforms. Given the number of articles recently on the “variability” of judicial independence in EU MS – what’s to say this is not abused? Where do you draw the line? I note that in Spain a satarist is being pulled throuhg the spanish courts – by the police federation – because………..he took the piss out of the guardia civil (& if ever a bunch deserved to be taken the piss – it is that bunch of thugs). Bulgaria? Poland? etc etc. (Discalimer: this post was not funded by Russia or any other country). most overrated European leader. How do you know if a news is fake? If it does not accord with the Washington consensus (NYT, Washpost, Guardian, Le Monde)? Inform people via public media and let them sift truth from lie. Totalitarian cultural Marxists rejoice! the end of political opposition is near.